Wordpress a platform to success. The VW transporter has long been my favourite of the larger vehicles and vans. 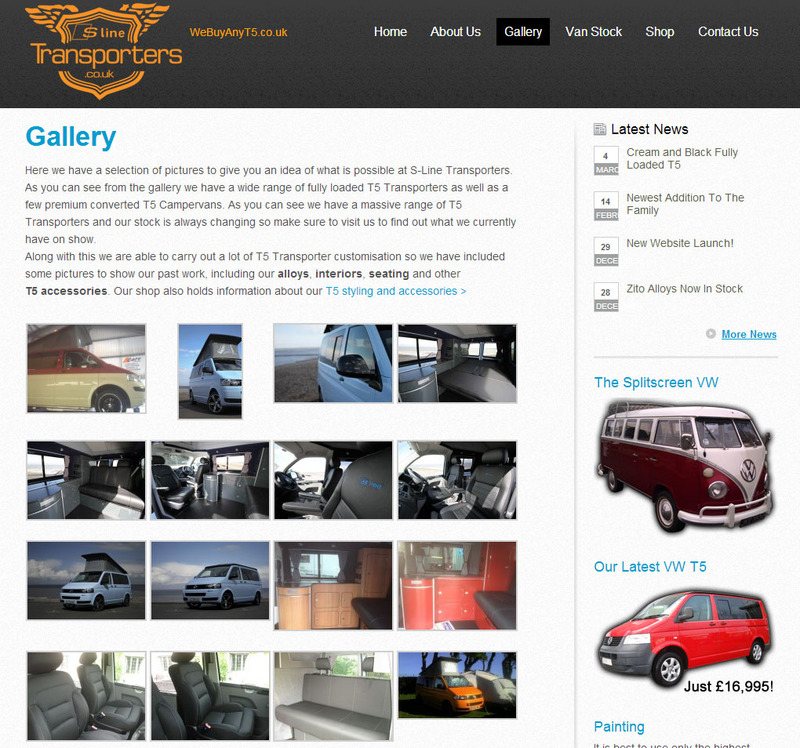 I've come across a website that I feel really shows off the craftsmanship of Transporter restoration. S-Line transporters is another website built from a wordpress template, the site doesn't look too bad and shows that wordpress is really a growing solution to website creation. The main aspect of this site that I find entertaining is the gallery section. 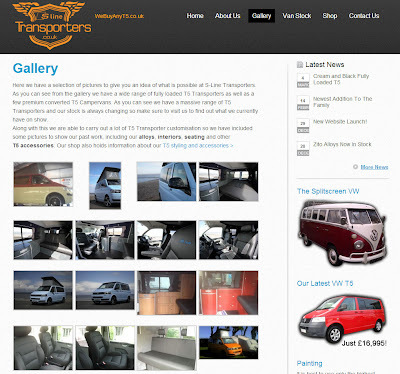 Browsing through the images you can really see how well this company can fix up transporters, from fantastic looking seat covers to complete conversions every image has something to gawk at. "S-Line Transporters are the leading supplier for VW T5 Transporters in the South West, and exclusive stockists for Autohaus VW. We have now managed to increase our stock levels to cope with the demand, we have a forecourt in Minehead with an accompanying shop full of our parts and accessories. We hold over 10 vans in stock at all times and each van is carefully selected ensuring that they are well looked after, low mileage and one previous owner or less"
So if your interested in larger vehicles, take a look. They have do have lots of vehicles on show!